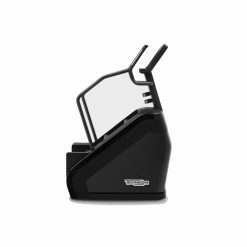 The StairMaster Gauntlet stairclimber has a choice of consoles and is suitable for users of all abilities and is great to strengthening and toning muscles. 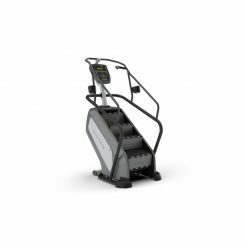 The StairMaster Gauntlet will help you step to success. This is a brilliant Ex Demo piece that is ready to ship immediately. 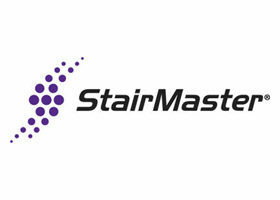 Beginning with the first stepping machine in 1983, StairMaster has been a legendary name in the gym. Today the tradition continues with the Gauntlet®. 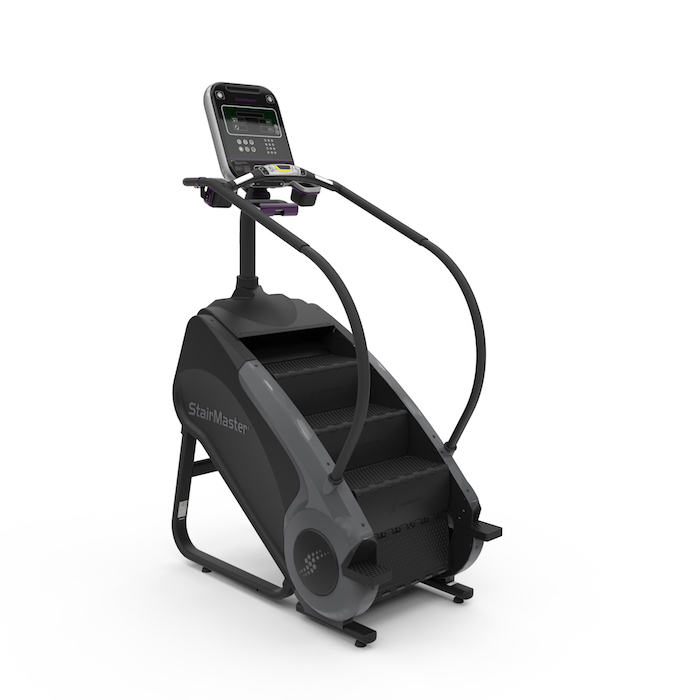 Building on 30 years of experience and proven performance, the Gauntlet®provides a superior combination of cardio and strength training in our most comfortable design ever. 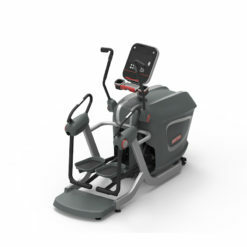 The machine features a deeper, wider step surface with durable, rust-free polypropylene construction and is now available with all three smart, affordable, flexible, OpenHub™ console options. Combining quality with innovation delivers a workout that’s head and shoulders above anything else in the gym. 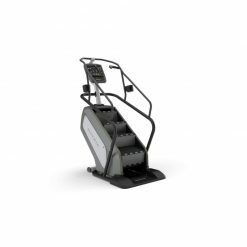 With over 30 years of experience in providing some of the most challenging workouts around, Stairmaster have established themselves as the leading manufacturer for high-intensity workouts.Decades after pioneering the toughest workout in the gym, their machines are still the ones users choose when pushing themselves to the limit. Their innovative designs keep you coming back.